If you want to send a spacecraft from Earth to Mars, how would you get it there? You can’t aim straight at the Red Planet, because it’s moving around the Sun significantly slower than the Earth. Instead, you’ll have to wait for up to 26 months for a launch window, then carefully aim at a moving target.In November, 2013, the controllers of the #MAVENspacecraft did just that. When it arrives on September 21, 2014, MAVEN’s winding journey from Earth will culminate with a dramatic engine burn, pulling the spacecraft into an elliptical orbit.MAVEN will be the first spacecraft to study Mars’s upper atmosphere in detail, helping scientists understand how #Mars changed from a wet planet early in its history to the cold, dry world we see today. 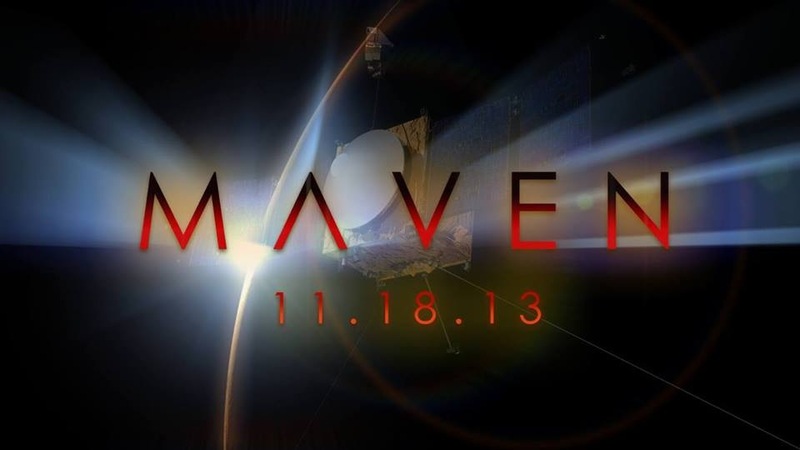 View the video detailing MAVEN Planning from launch through MOI, Mars Orbit Insertion. NASA Goddard — at NASA Goddard Space Flight Center.